They say that misery loves company. It turns out that company can reduce misery, because loneliness can have a striking impact on your health. Everyone feels lonely from time to time, but extended periods of loneliness can lead to a number of physical and mental problems. Loneliness, feeling disconnected from others, is not the same as being alone. It is possible to feel lonely while surrounded by crowds (just ask any college freshman). Conversely, being physically isolated from people does not necessary trigger feelings of loneliness. Recent research has found that loneliness can cause reduced cognitive function, will power and mental toughness. Other studies have placed loneliness on par with obesity and smoking. The incidence of Alzheimer’s disease is twice as high among the population that describes themselves as chronically lonely. Different people have varying thresholds of human interaction required to quell feelings of loneliness. Outgoing personalities (extroverts) need far more people time than introverts. No two people have exactly the same needs, but a study at the University of Chicago found that loneliness leads to depression, high blood pressure, impaired immune systems, sleeplessness and an increased desire to consume food, alcohol and drugs. Modern society, with an increased focus on the individual and electronic connections, is exacerbating the problem of loneliness. The basic human need for connection with others cannot be satisfied by an Instant Messaging session or an afternoon on Facebook. Somewhat paradoxically, today’s constant level of communication can actually increase feelings of isolation and loneliness. As someone feels isolated, they can pull away from normal interactions and develop anxiety disorders or agoraphobia. Dealing with loneliness can be difficult. Merely being around other people is not enough. It is the quality of the human interactions, not the quantity, that leads to feeling connected to others. Battling loneliness requires resolve and the determination to break out of negative behaviors and habits. Joining a new group, taking up a new hobby, finding a workout buddy, or jumping into any other setting for high quality personal interaction can do wonders for battling loneliness. Are you ready for a new buddy but don’t know where to start? Check out WannaBuddy.com to find people near you who enjoy some of the same activities as you. There is no reason not to meet new friends and enjoy an active life! The diet called “The Zone” has been around for many years. Dr. Barry Sears (PhD, not MD) first wrote about his revolutionary diet plan in 1995. His break-through idea was that the balance – not the quantity – of food groups is critical to weight loss. Rather than count calories, Dr. Sears suggested that dieters control the ratio of fats to proteins to carbohydrates to put their bodies into a balanced “zone” for optimum health. The Zone Diet consists of five meals each day: three primary meals plus two snacks. This is great for those dieters who struggle with hunger and a real fondness for chewing. Each meal/snack should have a balance of proteins and carbs, with complex carbs like brown rice and whole- or multi-grain bread preferred over “simple” or more processed carbs like white rice and Wonder bread. The ideal Zone meal is made up of 40% carbohydrates, 30% protein and 30% fat. This balance is widely recognized as a healthy distribution and, if nothing else, will promote heart health even if weight loss does not occur. Why the focus on balancing fat, carbs and protein? Dr. Sears says that this balance will cause the hormone secretions that happen during digestion to be optimized, leading to weight loss and better health. Although this idea has not been proven out by any clinical studies, formal research comparing the Zone diet with similar diets showed that it produced results on par with other diets. Plus, the overall food plan compares well with recommendations from the government and the American Heart Association. This is a good diet for people who eat out often. It is reasonably easy to order meals in restaurants that conform to the Zone structure. As long as you can control your portion size, maintaining the ratio of carbs, fats and proteins is very easy. People who struggle with calorie counting may be more comfortable with the “block” system that Dr. Sears uses to measure the different food components. In summary, the Zone diet has had many years to accumulate success stories and true believers. The balanced approach to fat, carbs and proteins is a responsible approach to eating, including the emphasis on complex carbs, vegetables and fruit. Although there is no scientific basis for Dr. Sears’ approach, most people who try the Zone will lose weight, so why not give it a try? People know that it is much easier to stick with a diet when they have someone dieting with them. Diet buddies share encouragement and support, and keep each other accountable. If you don’t have a friend ready to join your diet, check out WannaBuddy.com and find a new, local diet buddy. You will be glad you did. You make sure your kids are eating healthy... so why aren't you? Hi there! My name is Diana and I am 22 years old. I live in Southern Maryland with my husband and our 2 children. My daughter Isabella is nine months old and my son Steven is just about to turn 3. Boy does time fly! I am a full time student at the College of Southern Maryland and am working towards becoming a Registered Nurse. Between raising two children and going to school, there is never a dull moment in my life. It’s summertime now and I’ve got a few months off from school. I hope to use this time to make some major changes in my life… Ya see, I’ve always been the fat girl and it’s really starting to get old. I’m sick of feeling out of place and embarrassed by the way that I look. It’s definitely time for a change! I have got a long road ahead of me and over 100 pounds I’d like to lose. So, I invite you to join me on this journey as I work towards losing weight, getting fit, and becoming the happy and healthy person I’ve always longed to be. So here goes! Being a parent is hard work, there’s no denying that! Our needs always come second to the needs of our children. As the mother of two young children, my live revolves around making sure that my kids are both happy and healthy. I do everything in my power to make sure that they’re eating well balanced meals. I carefully prepare their meals and snacks to be sure that they’re getting enough protein, iron, and nutrients. I monitor their fluid intake, and am always careful to limit the amount of sugar that I give them. But when it comes to myself, I pay very little attention to the things that go into my body. I gulp down sodas and sugary soft drinks instead of drinking water and mindlessly munch on high fat, high calorie foods. Why is it that I pay such close attention to their nutritional needs but have such a hard time controlling my own?! I’ve struggled with my weight for as long as I can remember. And after having two children I’m the heaviest I’ve ever been in my life. Over the years I’ve tried many different ways to lose weight. Some with more success than others but nothing I’ve tried has given me lasting results. I always end up gaining the weight back… and then some. Now that I’m a mother I am beginning to realize just how important it is for me to get my weight under control. I want to be able to play with my kids without getting winded, and I want to live a long time to be there for them and to watch them grow up. I’ve decided that now is the time to change. I want to be a role model for my children, and in order to do that I need to get healthy. I’ve always considered the health of my little ones’ to be far more valuable than my own, but I’ve come to the realization that it’s important to take proper care of myself as well…. Because if I’m not well enough to take care of my children, then who’s going to do it? Unfortunately, changing one’s lifestyle isn’t exactly easy, but you’ve got to start somewhere, right? So I’ve decided to start small. I’m going to start drinking more water, eating more fruits and vegetables, and I’m going to try to go for a walk every day. The hardest part for me is going to be forgiving myself if I fail. Old habits die hard, and we all have our moments of weakness. I’ve just got to stay strong and start each day anew. I’ve got to be patient and always keep my eyes on the prize… the prize of living a long, happy, and healthful life with my family. Vitamin D does not get a lot of press. Everyone knows the virtues of getting lots of vitamin C, especially during cold season. But past that, most of us are pretty hazy about vitamins beyond taking a daily pill. Recent research has shown that vitamin D plays a central role in our health and well being, far beyond what was previously thought. 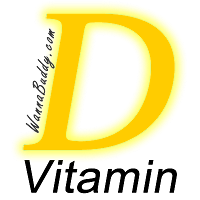 Vitamin D is a fat-soluble (instead of water-soluble) vitamin that is naturally occurring in very few foods. Some fish, such as tuna and salmon, contain vitamin D and it is also found in cod liver oil. Some foods are enhanced or fortified with vitamin D, such as milk and orange juice. Otherwise, we are dependent on the most important source of vitamin D: exposure to the sun. With the growing awareness of the dangers of unprotected sun exposure, many people wear sun screen constantly and avoid sun exposure wherever possible. This behavior change has been the most significant contributor to the growing problem of vitamin D deficiency. Some people, especially those with celiac disease, cystic fibrosis or Crohn’s disease, do not absorb vitamin D from food or supplements, so they are even more dependent on exposure to sunlight. We need vitamin D in our lives for a variety of health reasons. In the past, most people with vitamin D deficiency were not diagnosed until they had rickets. Rickets is a disease that causes the bone tissues to grow improperly, leading to soft bones and skeletal deformities. Now, a simple blood test can show if you are not getting enough vitamin D well before the onset of rickets. Since vitamin D affects blood levels of calcium and phosphate, lower levels of these markers can imply a vitamin D problem. Vitamin D deficiency has been correlated with osteoporosis (the deterioration of bone tissue), cancer, mental impairment (especially with older people), asthma and heart disease. Current research is pursuing possible links with high blood pressure, multiple sclerosis and diabetes. It is easy to get enough vitamin D. Just take a good multi-vitamin that contains vitamin D, or let your arms, legs and face get exposure to the sun (without sunscreen, of course) for five to ten minutes a few times a week. That’s it! Vitamin D is now your friend. While your body will not over-product vitamin D through sun exposure, it is possible to overdo the multi-vitamin or supplement source for vitamin D, especially if you have liver or kidney problems. Symptoms include nausea and vomiting, constipation and kidney stones. These are not fun, so check your vitamin labels for proper dosage instructions. So if you’re feeling “blah” or have bone or joint aches, you might want to consider a simple blood test to see if you need more vitamin D. Or, just prescribe some time in the sun for yourself. Skip the sunscreen for the first ten minutes and spend the whole afternoon getting some exercise and enjoying the outdoors! Walking and hiking outdoors is always more fun with a buddy. 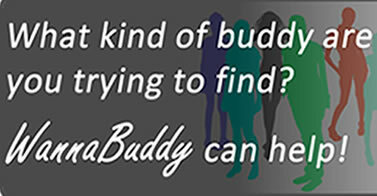 If you don’t have a buddy ready to join you, just check out WannaBuddy.com and find a new friend to share your enjoyment. Yoga is a 5,000 year old blend of mind and body exercise. Practiced by millions in the U.S. for its many benefits, yoga can be enjoyed by nearly everyone. In fact, there is probably a beginner's yoga class at a gym in your neighborhood just waiting to get you started. Rooted in ancient India, the word "yoga" means "union." This refers to the desired union between the spiritual being and the physical being. Yoga has eight foundational elements: moral interactions with others, healthy personal habits, prescribed body positions, controlled breathing, sensory modification, mental acuity /concentration, meditation, and enlightenment (achieving a higher consciousness). At its core, yoga is a series of body positions (some with fun names such as downward dog, warrior and sun salutation) combined with controlled breathing and mental focus. An attractive feature of yoga is the progressive nature of the body poses, allowing people of any age and level of fitness to participate and advance. The controlled transition from one yoga position to the next is extremely gentle to the bones and connective tissues, making it an ideal form of exercise as people age. Practitioners of yoga enjoy improvements in their strength, flexibility (range of motion), and emotional outlook. Numerous medical studies have shown that yoga can improve mental acuity, lower high blood pressure, counteract stress, improve lung capacity, and reduce depression and insomnia. Yoga is safe for most healthy people. Like any other exercise regimen, be sure to check in with your physician before you begin. There are certain medical situations such as spinal conditions, high or low blood pressure, eye pathology, arterial disease, history of blood clots, or inner ear conditions that would preclude certain positions or poses. Remember to start slowly and let your body be your guide as to how quickly you should progress. Getting started with yoga is easy. Nearly every fitness center, YMCA and community college has a beginning yoga class. Look around and find a class that fits your needs and lifestyle. Be sure that your level of commitment matches that of the other participants. It is never a good idea to mix "gung ho" and "ho hum" in the same yoga class. Definitely give yoga a try! Yoga is much for fun with a buddy. If you don't know anyone interested in learning yoga, check out WannaBuddy.com and find a yoga buddy near you. As a mind and body experience it is accessible to nearly everyone - hard body or couch potato, pre-teen or golden-ager - and can be a wonderful way to stay fit.